This winter, we have had so many children travel from across the world to the United States to have a hosting experience with a loving family. Many of these kiddos have had the joy of new experiences that they have never had before, and will have not only lots of exciting memories to take home with them, but also will know: “The greatest thing you’ll ever learn is just to love and be loved in return,” as it was said in the movie, Moulin Rouge. These are children that have likely never had time with a family of their own during the holiday season. 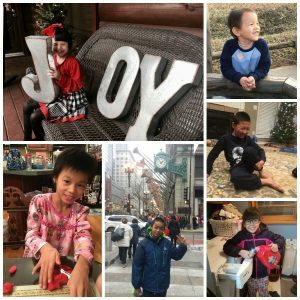 This holiday season, many kids were able to have that experience! They received gifts for the first time ever, with their names on them! This isn’t something they get to experience in the orphanage they came from, since most of the things they have access to in the orphanages are shared. Think of never having your own clothes or fun toys to play with, and then imagine the first time you receive something meant just for you. How special is making a memory like that? Imagine going to a new place and being welcomed by a family of people who want to see you succeed, grow, laugh, and live in the happiest ways possible! Children are already seeing so many things for the first time, but to get to see a new culture is amazing. This may even be the first real hug they’ve gotten from someone who loves them. What a great opportunity. The children you see pictured below have been hosted this winter and are still waiting to find their forever homes. 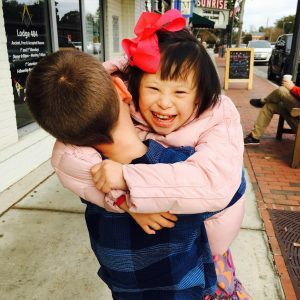 It is such a blessing to see them flourish over the past few weeks, but some, like the kids in these pictures, are still waiting to have a family that will last longer than a few weeks. YOU can help! Visit our Advocate Page to learn more about these kiddos and their friends, who are also awaiting forever homes! You can be a part of changing these kids’ lives forever. One day, a child could look into your eyes and be your son or daughter. You still have time to make a difference in the life of one of these young people. All children deserve care and nurturing as they grow, and you can be a part of that. Visit our Advocate Page to learn more about the amazing children you can help! There is so much to give to these children, and what you will get in return is priceless: love.